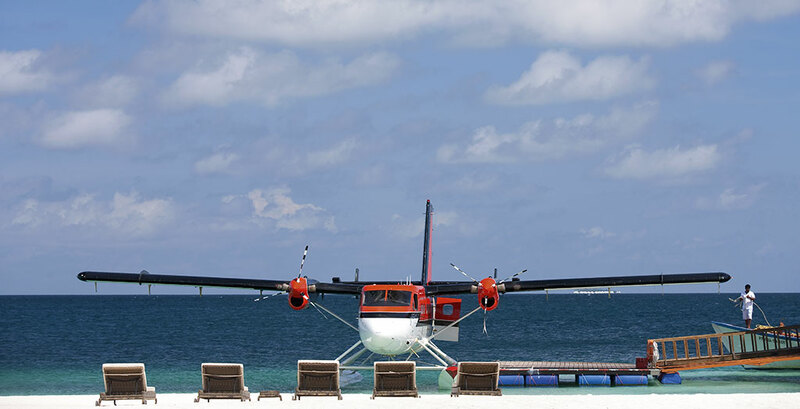 A scenic 25 minute seaplane ride from Malé will take you to the elegant resort of Constance Moofushi. 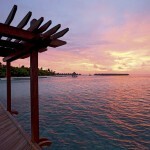 Located on a dazzling island in the South Ari Atoll, the resort is surrounded by remarkable beauty. 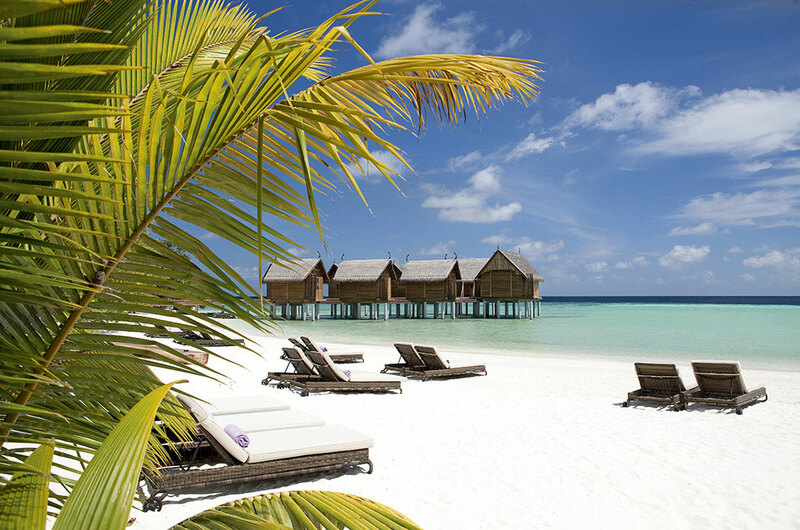 Exceptional service, world class diving and a premium All-Inclusive package make for lasting memories of your Maldives holiday. 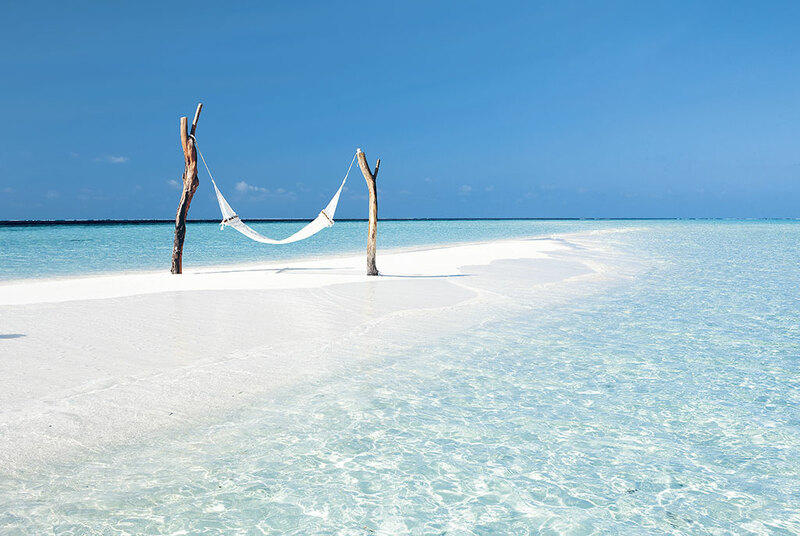 Soak up the sun on a secluded part of the soft white beach, before you head to Manta Restaurant for yet another culinary explosion for lunch – accompanied by incredible views of the Indian Ocean. 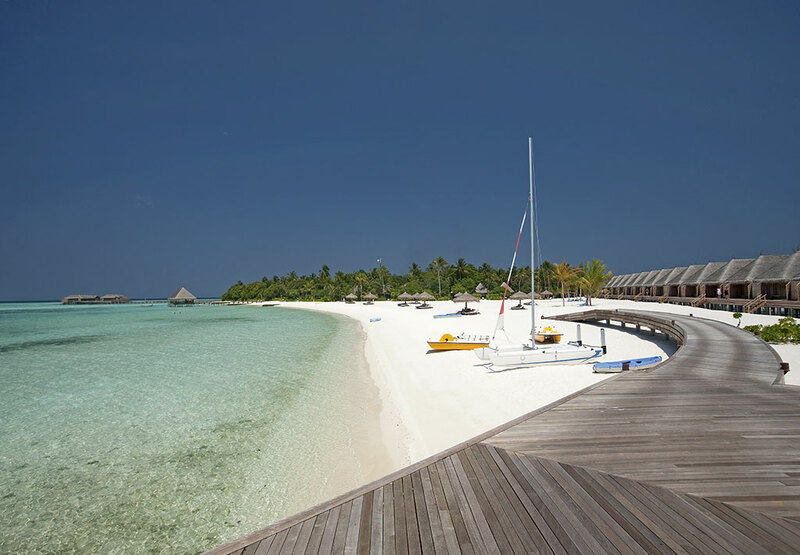 Later in the day, the warm crystal clear water invites to exciting snorkeling, scuba diving or even water sports. 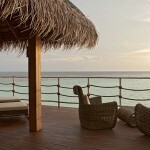 In the evening, the private deck of your phenomenal villa will make the perfect backdrop for a relaxed cocktail. 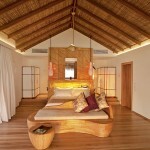 The Beach Villa (57 sqm) makes for a great value Maldives holiday. 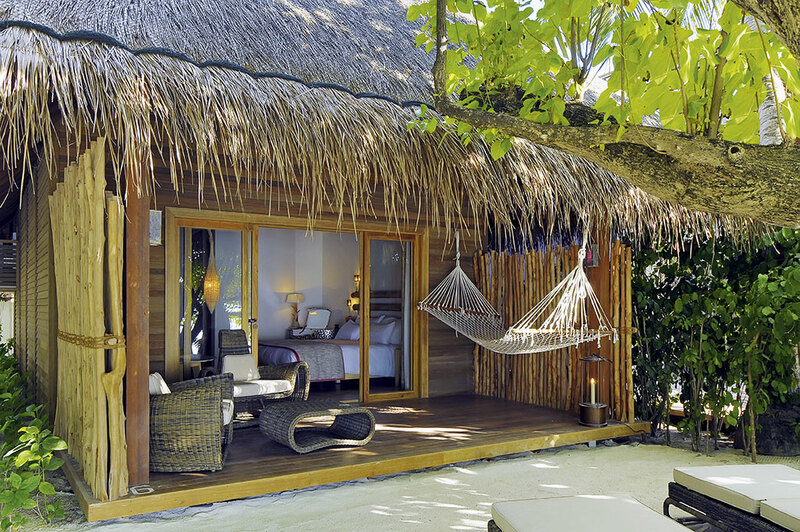 Featuring its own private beach, thatched palm ceilings and hammocks, the Beach Villa offers true island experiences. 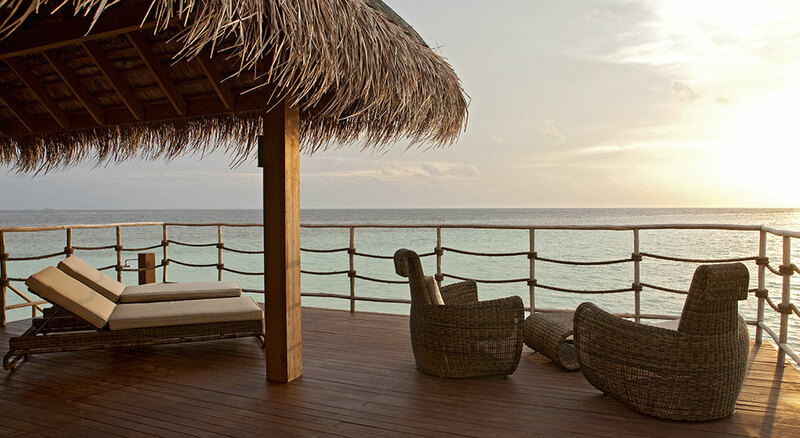 Your private ocean facing terrace is the perfect spot for a glass of wine in the evening. 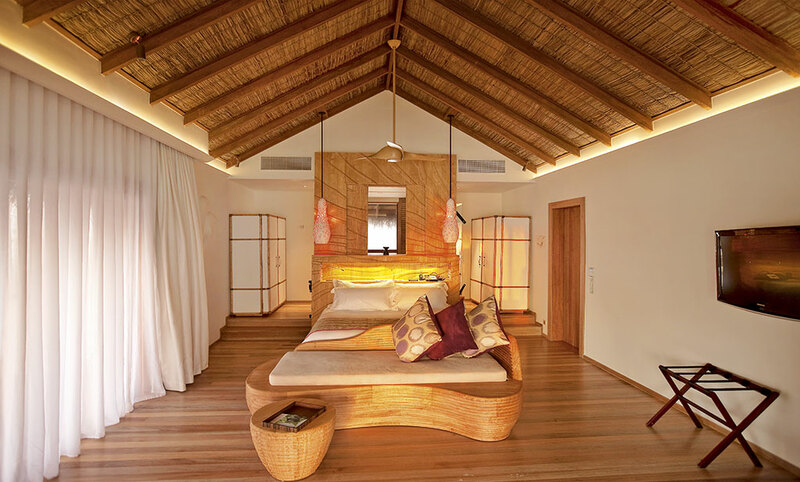 This villa accommodates three adults (or two adults and one child). 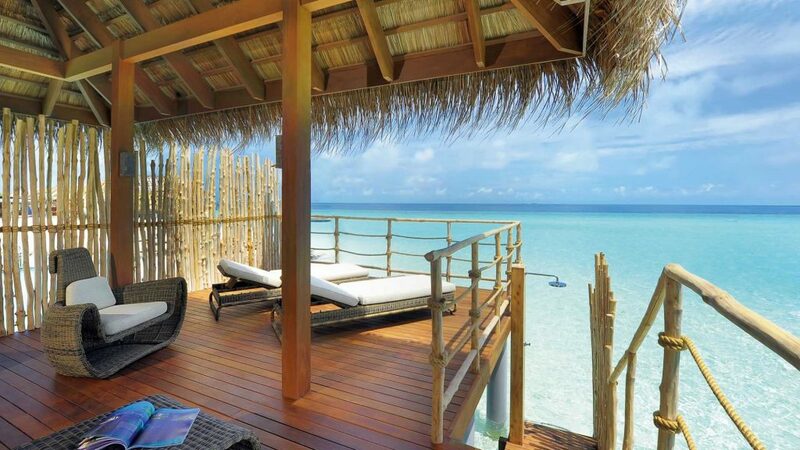 The Water Villa (66 sqm) is an exclusive villa standing on stilts above the glorious Indian Ocean, just northeast of the island. 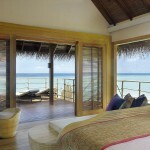 With a private over water sundeck leading directly into the water, the location could hardly be any better. 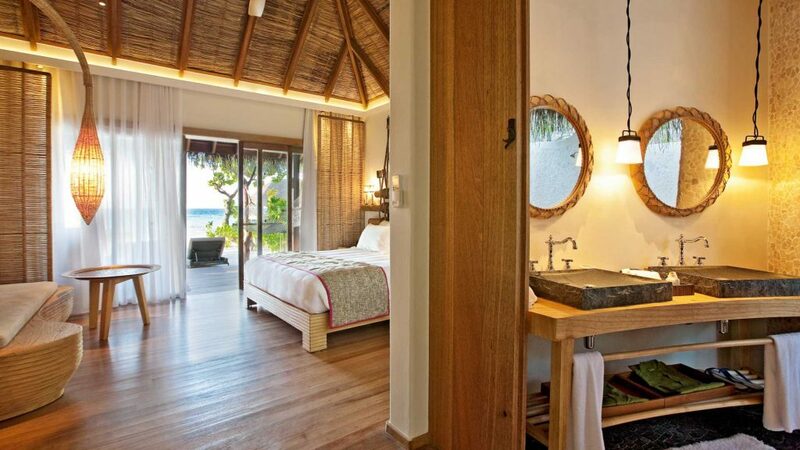 Comfortable sun loungers, a lavish bathroom, a large bed and a spacious seating area is included in this villa, which accommodates up to three adults (or two adults and one child). 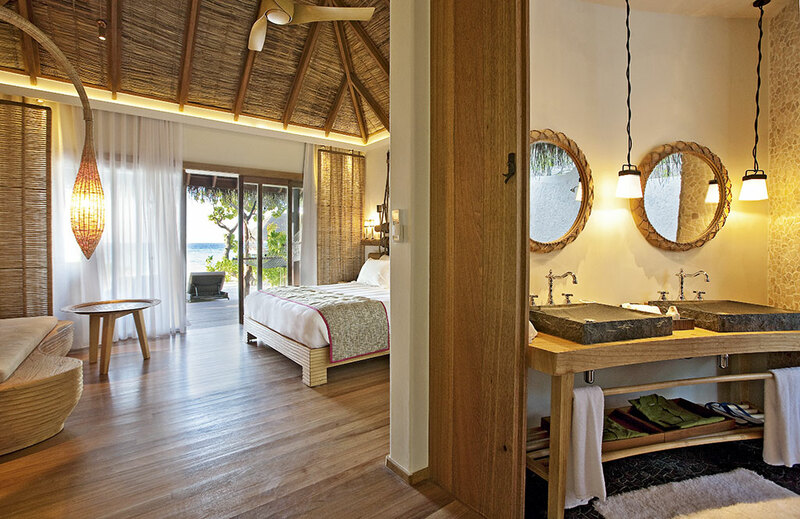 The Senior Water Villa (94 sqm) is the ultimate choice for a romantic secluded honeymoon. 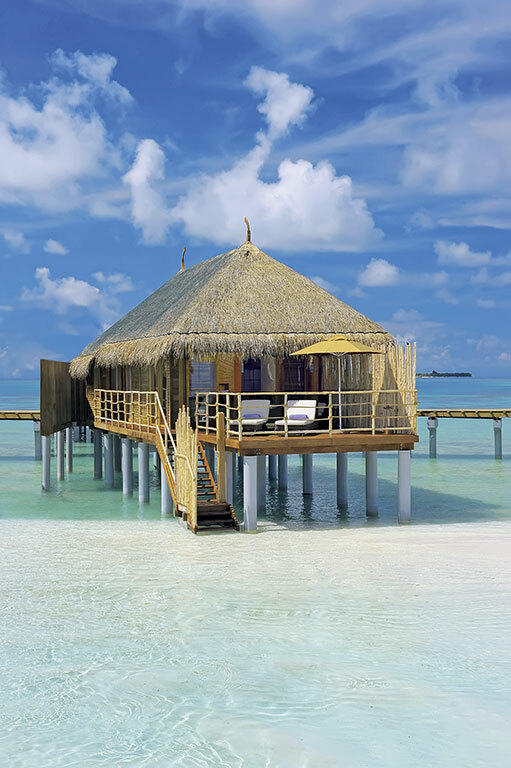 This villa is built on stilts over the lagoon west of the island, with the added luxury of an outdoor bathtub where you can enjoy a glass of wine underneath the starry sky. 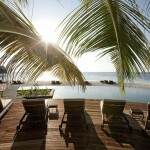 The private terrace with lagoon access also features sun loungers and stunning views of the Indian Ocean. 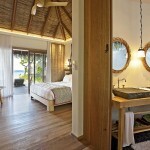 The Senior Water Villa can accommodate three adults (or two adults and two children). 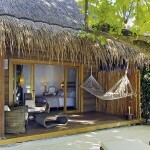 Constance Moofushi has everything you need for a completely relaxed holiday. 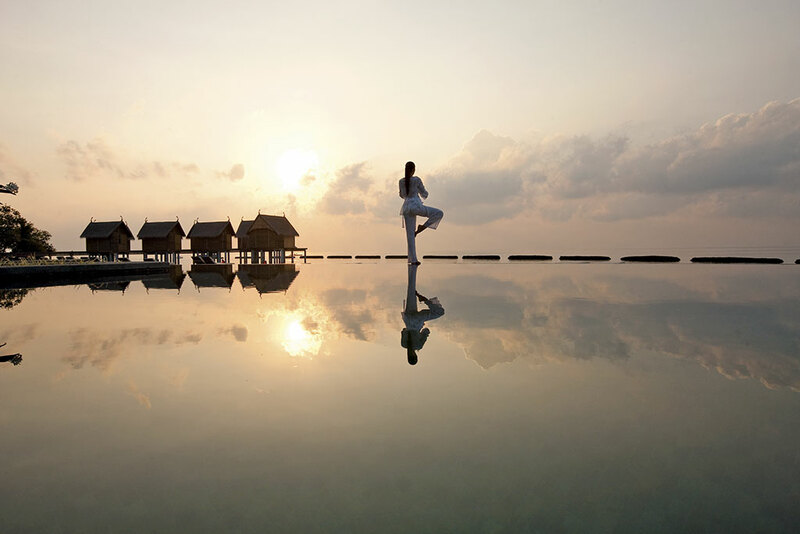 Premium facilities such include an on-site boutique, laundry service, babysitting service, fully-equipped gym and a stunning swimming pool. 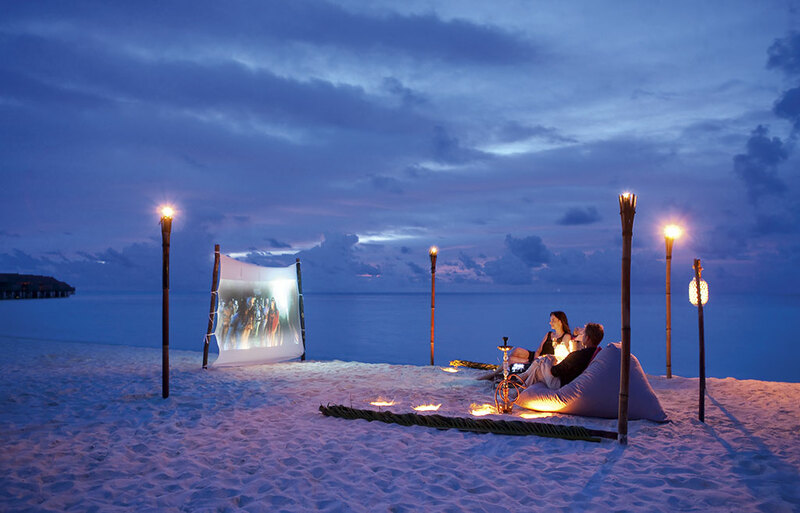 To make the most out of the island’s breathtaking surroundings, the beach cinema, snorkeling (complimentary) and scuba diving are highly recommended pursuits. 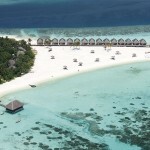 The resort is within easy reach of some of the most amazing diving spots in the world, with clear visibility. Let the professional instructors show you the hideaways of stingrays and snappers for a unique holiday experience. If you want to combine your relaxing holiday with some watersports excitement, why not try out windsurfing, kayaking or catamaran sailing? 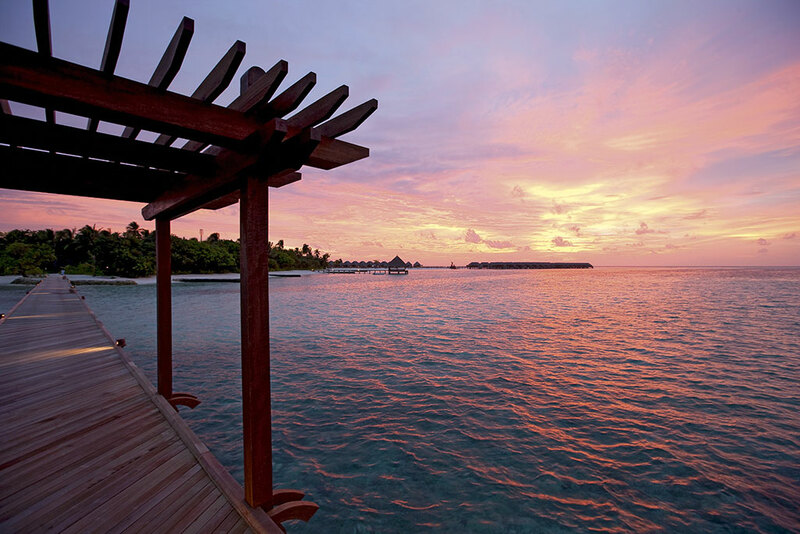 Night fishing and big game fishing excursions make for an even more special holiday. 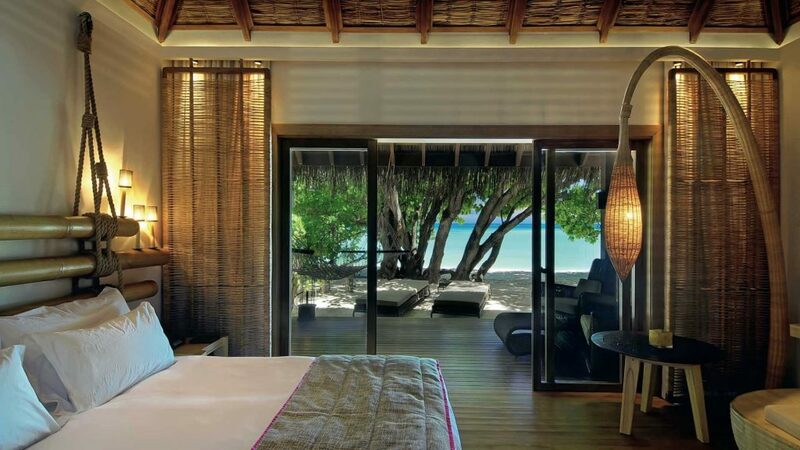 Spa de Constance features premium spa facilities located above the turquoise lagoon. 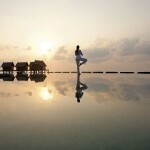 It’s hard to imagine a more relaxed setting for pampering treatments to rejuvenate your body and spirit. 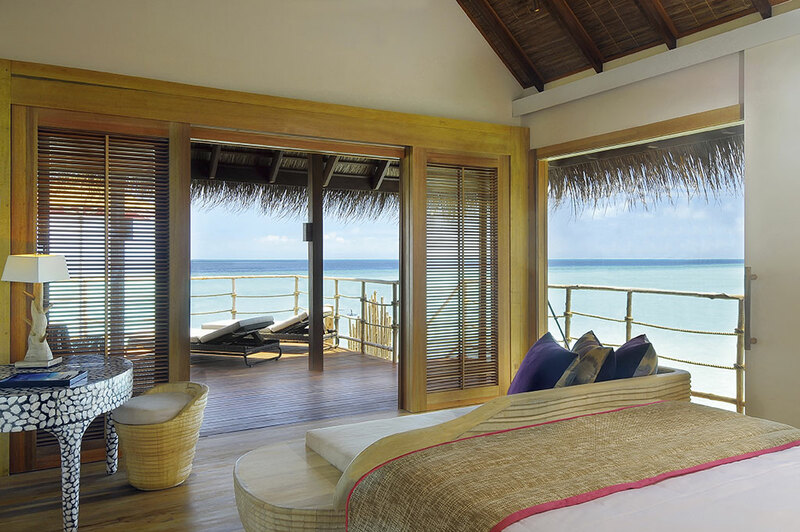 Enjoy hot stone massages, the Moofushi signature 4-hands massage and Papaya wraps for an exotic wellbeing experience. 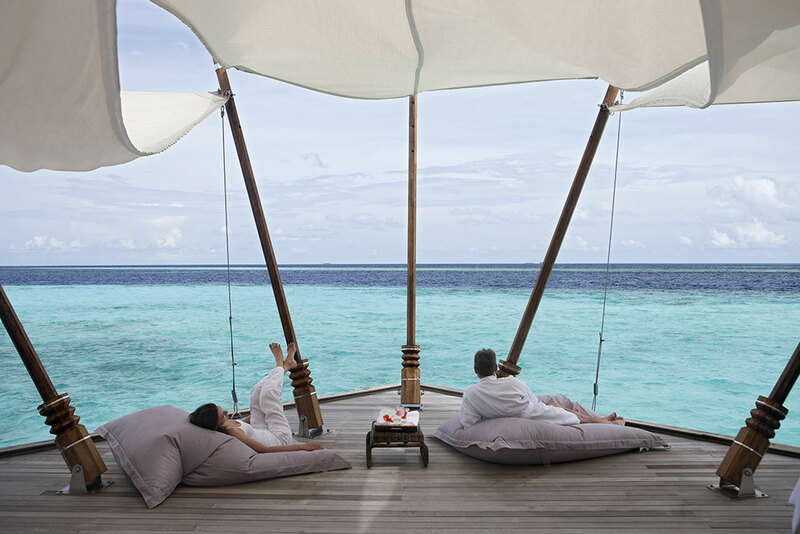 A Maldives holiday at Constance Moofushi is your ticket to the culinary experience of a lifetime. 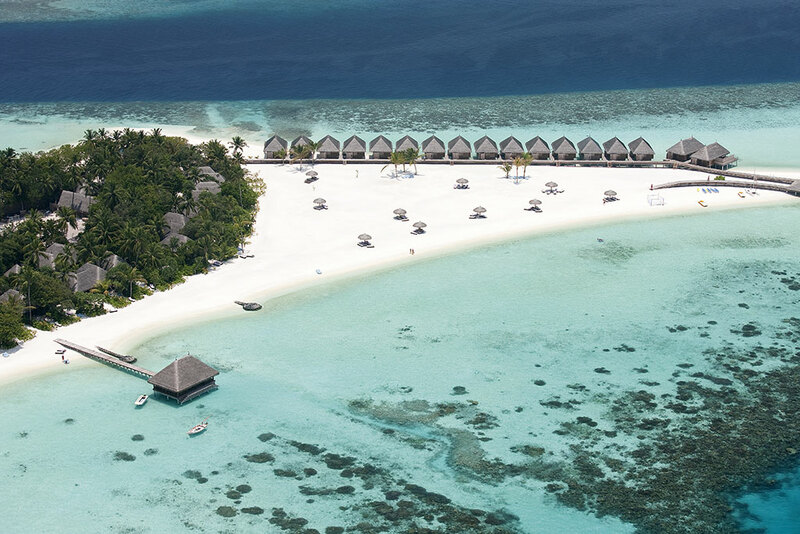 Excellent restaurants with flavorsome cuisine in combination with the resort’s intimate Destination Dining experiences make for lovely memories to treasure. Children’s menus are also available. Manta is the main restaurant of the resort. Located next to the arrival jetty, this lovely restaurant offers tantalizing international buffets for breakfast, lunch and dinner. 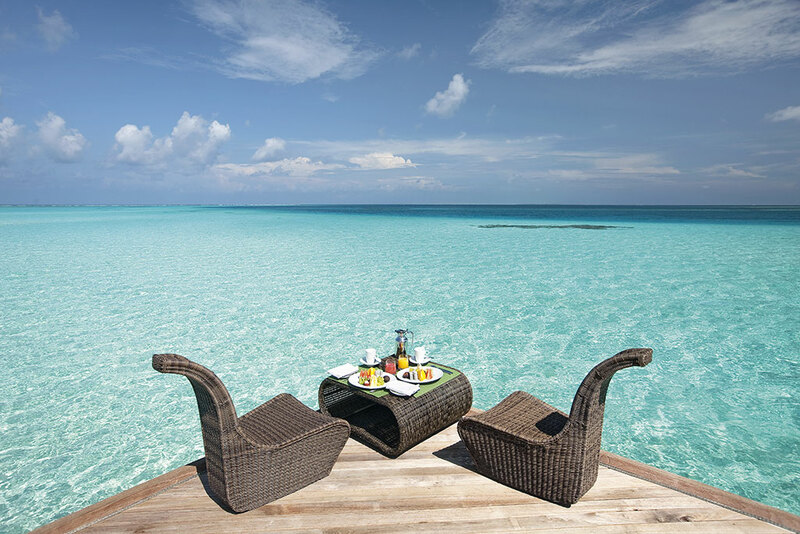 Enjoy delicious food with your feet buried in the soft sand and the gorgeous lagoon as a backdrop – this is barefoot luxury at its best. 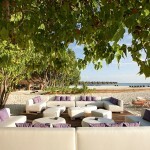 Alizée offers elegant a la carte dining directly on the beach. 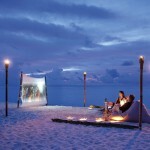 Enjoy seafood grilled to perfection in the glorious sunset, or perhaps a wood fire pizza for lunch? 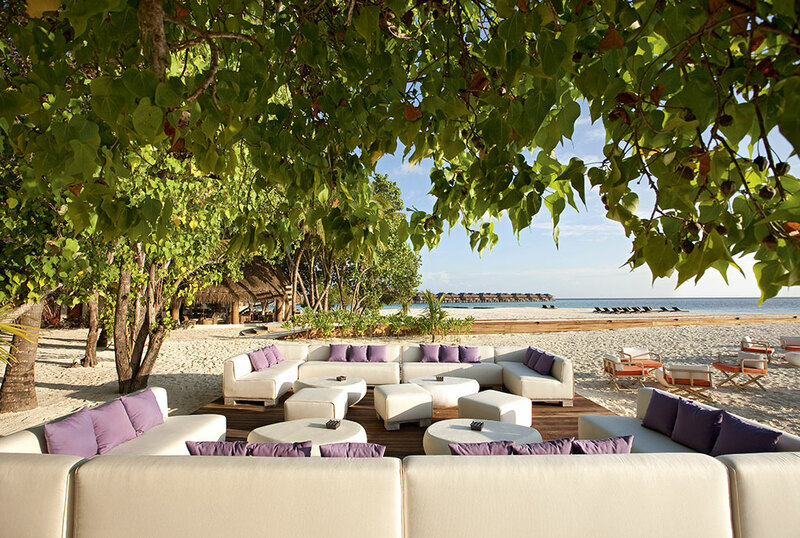 Manta Bar is where you will head for exotic cocktails and lively conversation. Why not let your hair down and sing along to the tunes of the brilliant DJ? 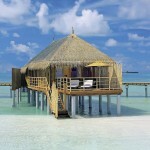 Totem Bar is the epitome of a beach bar, located on the stunning southern tip of the island. Take a break from sunbathing and sip on a chilled beer, or choose one of the refreshing smoothies. 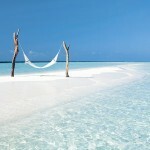 Simply Maldives Holidays offers a premium Cristal All-Inclusive Package to guests staying at Constance Moofushi. • Large Variety of Super Premium branded spirits and International Beers, our main bar remaining open until late 00h30. • Large selection of fresh drinks, soft drinks, mineral water including our own produced mineral water. • Unlimited access to cocktails & Constance signature drinks menu. • House champagne available during meal time only in all restaurants and bars. • International Wine list inclusive of wines from around the world (France, Italy and the New World). Many wines directly imported from small wineries. 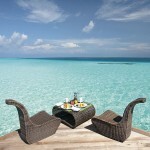 • Mini-bar stocked with selected red & white wine, beers, soft drinks, Moofushi water and snacks. Mini bar refilled once daily. for Dinner from 19h30 to 22h00. Totem bar is open from 10h30 to 23h00 and serve lunch from 12h30 to 16h00. • Afternoon tea served at Totem Bar from 16h00 to 18h00. • A complimentary cake for Birthday and Wedding Anniversary (when known in advance). • Cigarettes available from each bar by piece served individually from the Humidor. 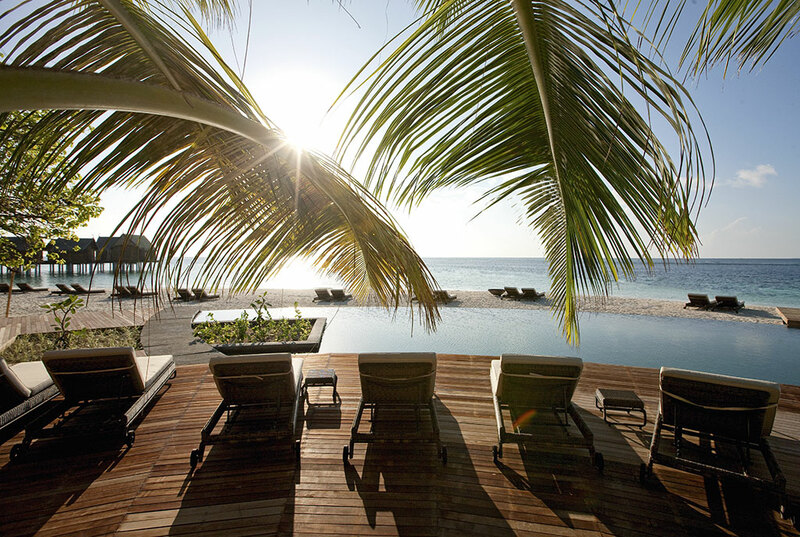 • Snorkelling equipment for each guest at the boathouse. 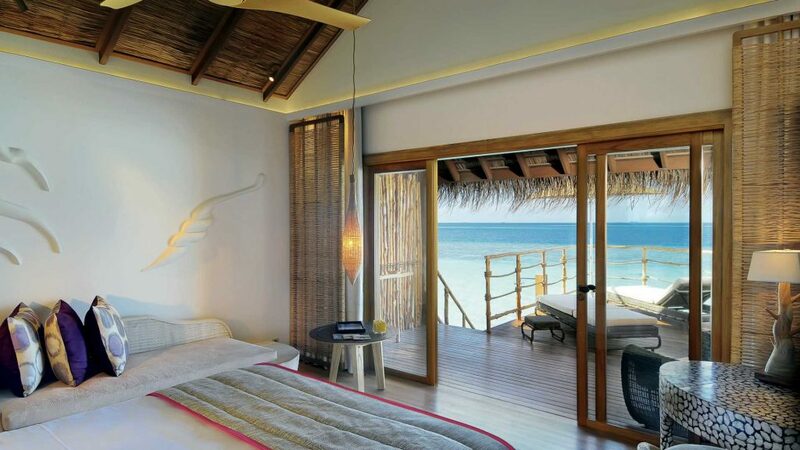 excursion is available for every 10 nights stay. The cancellation of excursions due to bad weather situations will not be refunded. Fruit and sparkling wine in villa upon arrival, a complimentary gift and a 50% discount per person on a selection of spa treatments, once during stay.